There are many different types of Japanese tea. In this guide, we will examine thirty different teas, describing what makes them so unique. We will also explore the many reported health benefits that come from the compounds found in Japanese green tea. But first, you cannot discuss tea in Japan without explaining the purpose of the Japanese Tea Ceremony. Tea is serious business in Japan. So much so that the preparation of powdered green tea – macha – is a ceremonial activity that is part of Japanese culture. The ceremony, also known as the Way of Tea, is called chanoyu in Japanese and the manner in which the performance is conducted is called (o)temae. Loose leaf tea – sencha – is also used in this way but is not as common. In this case the practice is known as senchado, which translates to mean “the way of sencha.” The Japanese tea ceremony dates back to Zen Buddhists who were the primary influences in the creation of the activity. There are two main classifications for tea gatherings. The informal is known as chakai with the formal identified as chaji, or a tea event as opposed to a tea gathering. The former is a simple activity which will include confections, thin tea and possibly a light meal. The latter is a grander activity which will be accompanied by a full-course meal – kaiseki – followed by confections, both thick and thin tea and is much longer in time frame. For example, a chaji can take up to four hours from start to finish. The reason why the Japanese Tea Ceremony has such significance is this: It is considered one of the three classical arts of refinement in Japanese culture. The other two being incense appreciation (kodo) and flower arrangement (kado). This is probably one of the best known and the best Japanese green tea. It is finely ground and comes from trees that have been shaded during growth. Matcha is the tea of choice used in Japanese Tea Ceremonies and is also a main ingredient in several traditional desserts and confections. Sourced directly from organic farms in Uji, Japan, you know you are getting the authentic product. 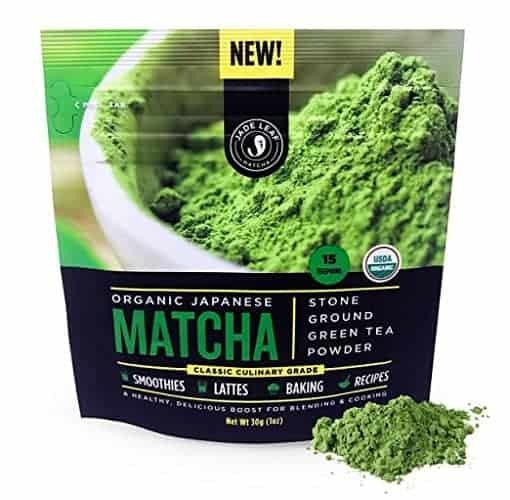 This macha green tea powder is 100% USDA organic, all natural with no additives. It is naturally gluten free and vegan. Rich in antioxidants, this tea offers many great health benefits and comes with a money back guarantee. This package comes complete with all the elements you require for ceremonial matcha tea drinking. 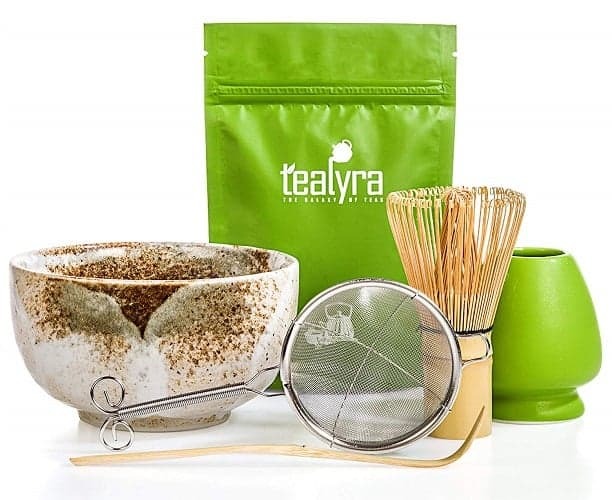 It includes a Japanese tea set of six pieces: 50-grams of premium Japanese Matcha Tea Powder, a whisk, a whisk holder, a scoop, sifter and bowl. The bowl is authentic and made in Japan. The whisk and scoop are made from Chinese bamboo. This is a great gift set for someone on your gift list or for your own tea ceremonies. This would be considered the ‘standard’ tea of Japan if they had one. Japanese Sencha green tea is produced from tea leaves of the first and second flush that is steam-pressed giving them a slightly bitter taste. This package contains a 16-ounce bag of USDA certified organic loose leaf tea. It is packed in a paper/kraft stand up pouch which contains an aluminum foil lining. This lining maintains the freshness you expect from such a quality product. This tea contains caffeine. 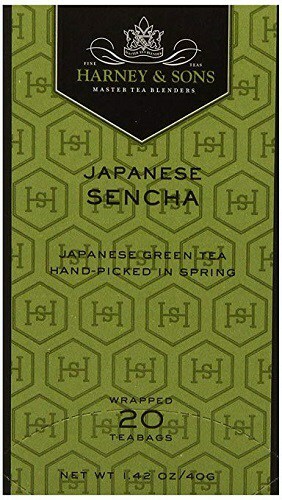 This premium Japanese sencha tea comes in a box of 20 wrapped tea bags. The leaves in those bags were handpicked in Spring and once steeped in boiling water for one to three minutes will produce a light, delicate tasting tea. This product is considered kosher and can be enjoyed any time of the day or night. This is a green tea that is combined with roasted brown rice. 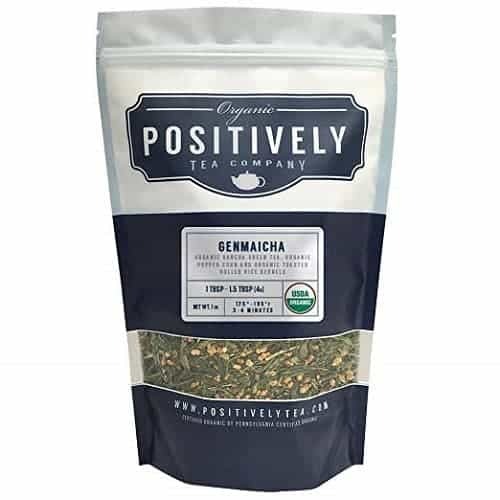 Genmaicha happens to be the cheapest variety of the Japanese teas and the rice addition has a significant historic meaning. The rice was used as a filler making the tea affordable for those who could not purchase pure tea. In today’s tea culture, this tea – which often includes matcha in the blend – is a favorite for the grassy flavor and roasted aroma. 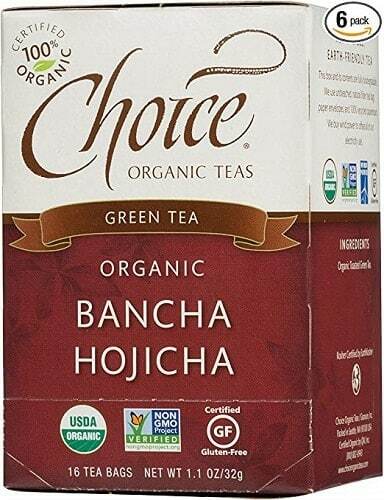 This 100% USDA certified organic green tea originates from China. It contains caffeine and is in a one pound bag which will make between 150 and 240 cups of tea. The package includes organic bancha green tea, organic popped corn, and organic toasted, hulled rice kernels. This product comes with a 100% money back guarantee. 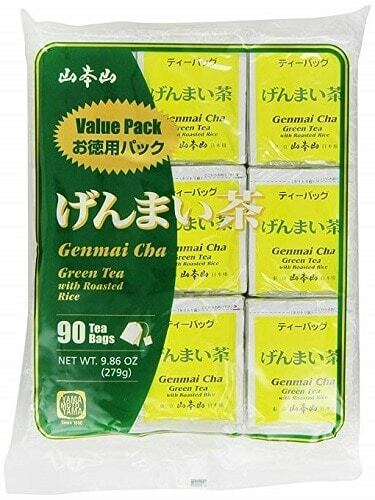 This green tea with roasted rice comes in a package of 90 tea bags. The ingredients are all natural and Kosher Certified. 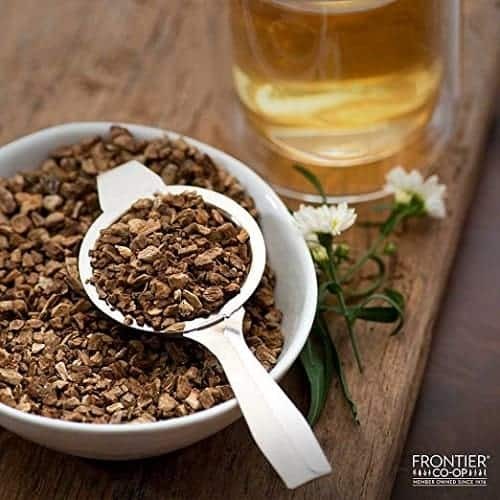 This tea contains high concentrations of antioxidants and provides several health benefits as a result. Shade is used to alter the taste of this type of tea. Gyokuro is grown for at least 20 days under shade. The result is a sweet tasting tea that is high in caffeine and somewhat bitter. The growing process has turned this tea into an expensive variety. 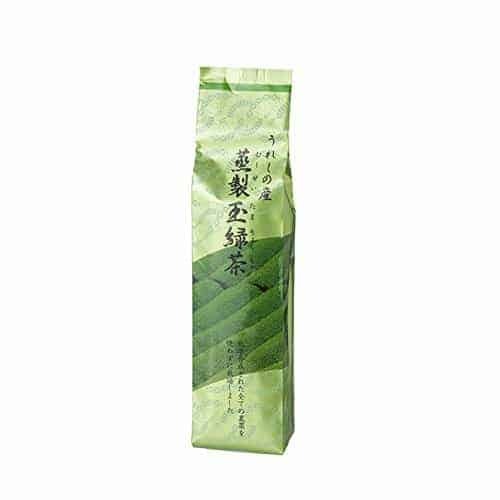 Considered the best green tea of Japan, this package contains natural Gyokuro style loose leaf green tea. 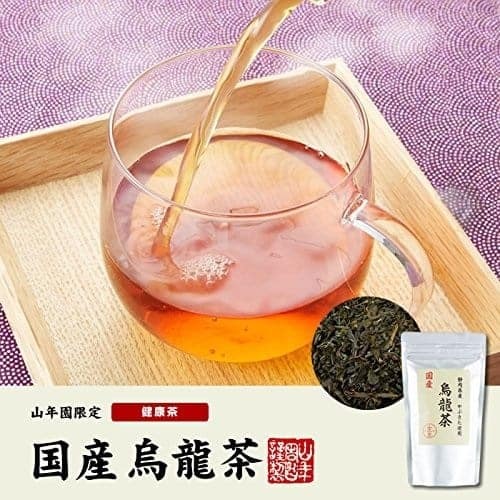 It is a full-bodied tea with a sweet taste and mellow yet delicate flavor. This product comes with a 100% money back guarantee. This tea has a very distinct nutty flavor. Kukicha is made from twigs, stalks and stems of tea leaves which contribute to the unique taste. 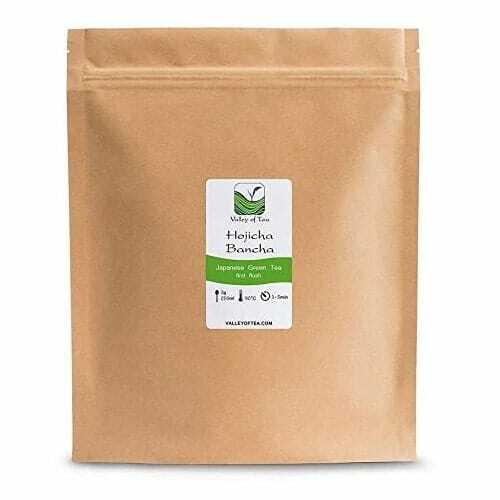 This USDA Certified organic green tea is packaged in bulk in a 16-ounce bag. The tea is packed in a paper/kraft stand up pouch. It has an aluminum foil lining which assists in preserving freshness as you use this product. It contains caffeine. Roasted barley, which is caffeine-free, is what you will find in a cup of mugicha. It also contains no actual tea. 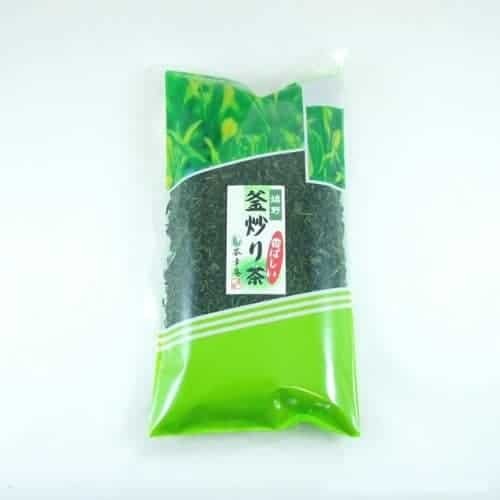 Mugicha is a barley tea and this package contains a total of 54 bags ready for use. The complete package will brew a total of one litre of tea. Originating from Japan, steep a tea bag from one to three minutes for best effect. This product is good consumed either with hot or cold water. Kombu is a type of edible kelp that appears frequently in Japanese cuisine. Dried and powdered kombu is what is brewed in order to make kombucha. Loaded with antioxidants for your health, Kombucha is known as being inspired by a remedy used in ancient Russia. 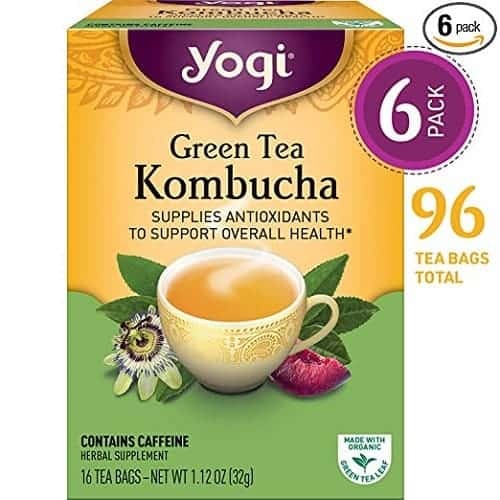 This package contains a blend with organic green tea and contains a six pack of 16 tea bags each for a total of 96 tea bags. This product contains caffeine. The third or fourth flush of tea leaves in late summer is used to produce Bancha. As a result, this is considered a low grade tea product. 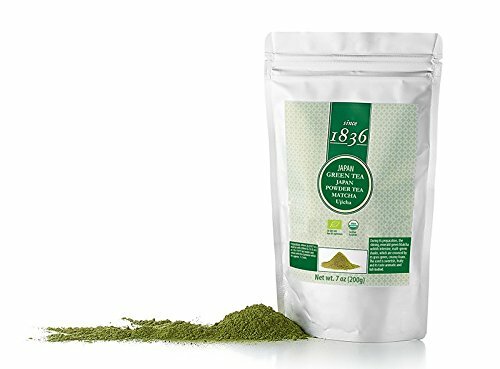 This Certified organic, non-GMO project verified Japanese green tea is roasted to provide a unique and distinctive flavor. It is gluten free and kosher. The package contains a total of 6 boxes of 16 tea bags each for a complete total of 96 tea bags. The box and tea bags are all natural. As the time of harvest can be a key element in the quality of tea produced, aki bancha is at one end of the scale. The leaves harvested in the fall as the last flush – typically the fourth – is what are used for this tea. It includes twigs. Produced from roasted buckwheat kernels, Sobacha can be enjoyed either hot or cold. It has a smooth texture with an earthy, wheat flavor. It is also caffeine-free and contains antioxidants. This variety of Japanese green tea is, in fact, an unfinished raw green tea. This provides an interesting taste and flavor as a result of the incomplete processing of the leaves. This product contains Summer harvest green tea leaves sourced directly from the farm in Wazuka, Kyoto Japan. 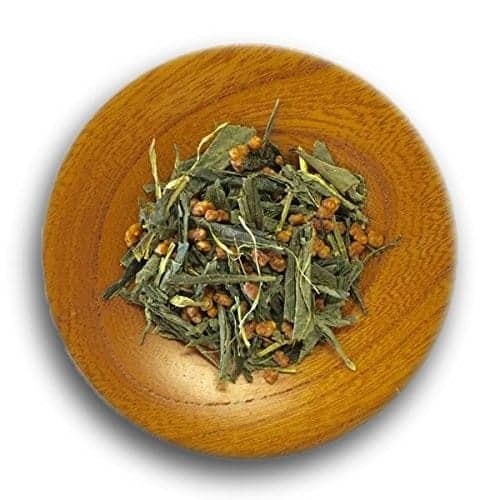 The unrefined green tea leaves have a nutty aroma which produces a fine tea drink. This package contains a 100-gram bag of loose leaf tea. Kocha is the Japanese word for western-style black tea. A number of different varieties of western style tea products are made in Japan. 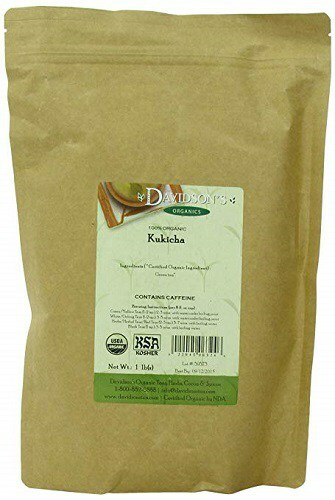 Known as a Japanese Milk Tea, this package of Kocha is direct from Japan. 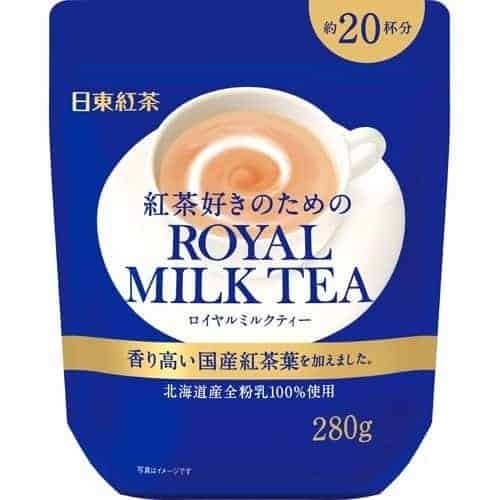 The 280-gram bag contains 20 individually wrapped tea bags which produce a delicious milk tea that is suitable to consume any time of the day with family and friends. The burdock root – known in Japan as gobo – is shaved and roasted to make this tea. The flavor of gobocha is earthy and described as being similar to that of a broth made from mushrooms. USDA 100% Certified Organic, this product is better known as burdock root tea. The package contains a full pound of bulk cut and sifted, non-irradiated burdock root. This particular offering comes from a member owner cooperative effort that follows ethical practices. The unique part of this particular tea variety is that it is actually not a Japanese tea. It is actually a Chinese tea. Oolong tea is processed in a manner that involves tea leaves being oxidizes in sunlight. 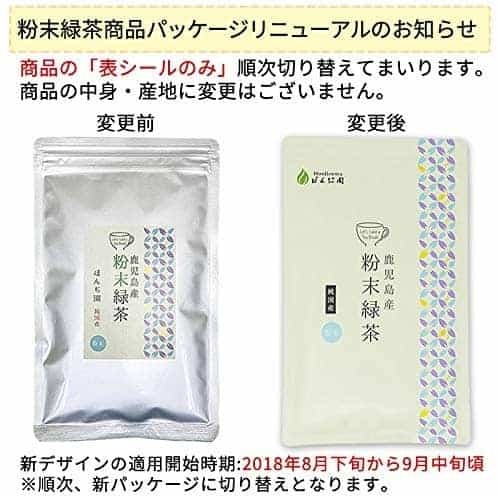 This domestic oolong tea comes from Shizuoka-ken and is packaged in a 100-gram stand up pouch. The loose leaf tea is best if used in 10-gram servings steeped for between three and five minutes. This tea is free of any additives and can be enjoyed any time of day. The first flush of tea leaves, which are picked at the beginning of the season, are used to produce this tea. Shincha is a little sweeter to taste than later flushes. The timing of the harvest of tea leaves is crucial for this type of Japanese tea. 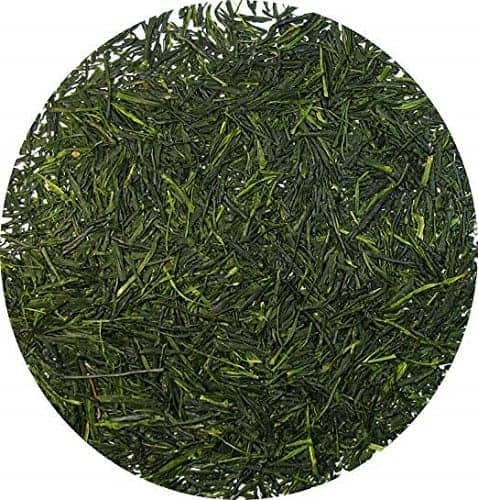 Hachijuhachiya Shincha is sencha that has been harvested exactly 88 days after Spring has begun. If you are a fan of grinding your own fresh macha, then you will know what to expect when you have tencha available. Essentially this is unfinished macha which is made up of high quality leaves that were grown in shade. 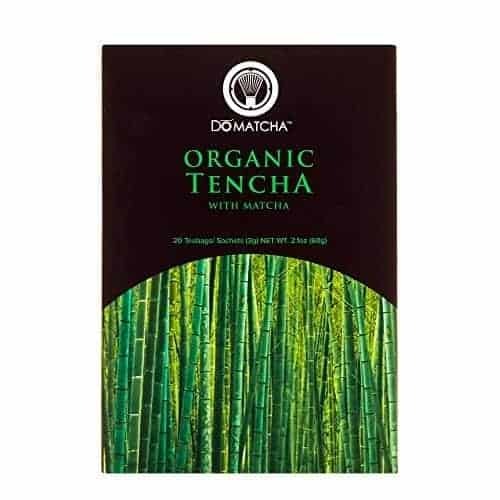 This product is a blend of organic tencha leaves and matcha powder contained in a box of 20 tea bags. Each bag will brew three cups of hot or iced tea. 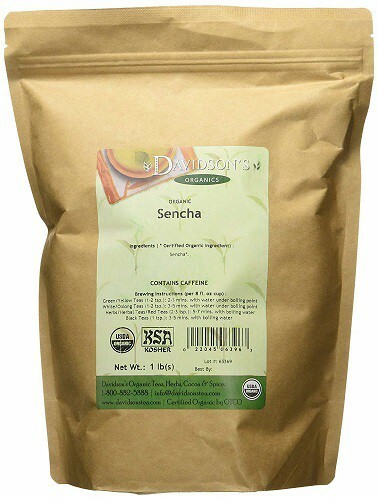 The tencha leaves offer many health benefits as they are rich in antioxidants and also contain the nutrient theanine which can assist with your mental clarity and provide an energy boost. This tea variety is actually Bancha (a low grade tea made from late summer harvest leaves) that is roasted at high temperature over charcoal. The process produces a rich, toasty flavor. Grown in Japan, this product was picked in May 2018 on a family farm. The tea has a nutty taste with toasted notes and a soothing aftertaste. For an instant pick-me-up, you can’t go wrong with hojicha. This loose leaf tea is packaged in a stand up pouch measuring 200-grams. The Sakura plant blossoms in spectacular color and last only for days. The blossoms are significant in Japan as they evoke great passions. The plant itself is celebrated as a symbol of life and the impermanence of it. Tea is made with these blossoms. 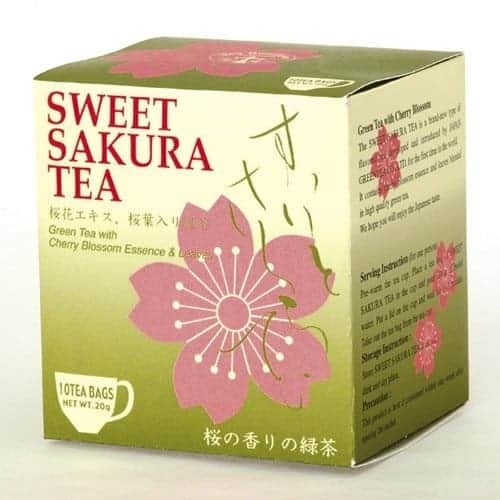 When Sakura Tea is mixed with a Japanese tea, such as sencha, it is called a Spring tea. This is a rather unique treat from Japan. The box contains a total of ten 2-gram tea bags but the tea bags contain the most interesting combination. In addition to green tea, each tea bag comes with the essence of cherry blossoms. This gives the tea a sweet aroma as well as a slight fruity taste. The leaves on the tea plants that result in Kabusecha have a special treatment that takes place only days before they are harvested. The plants are protected by shade which gives the tea a slightly different flavor to tea from leaves harvested following days of full sun. This high elevation tea was shade grown on an award-winning organic plantation in Shizuoka, Japan. The tea leaves are 100% JAS organic, high-grade. The package is 100-grams of loose leaf green tea in a stand up pouch that is vacuum-sealed to retain freshness. 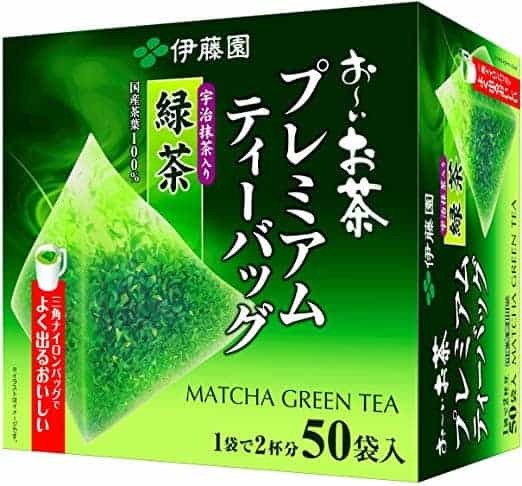 This box of domestic 100% matcha green tea leaves contains a total of 50 tea bags. The tea produced by steeping one from three to five minutes is luxuriously fragrant. The tea bags are made from nylon and are durable enough to provide more than one steeping of tea. Dust and small remnants collected from sencha or gyokuro tea processing is used to make Konacha. As a result of the contents, this is considered a low grade tea that is typically served at sushi restaurants. Packed with health benefits, this package of all natural Japanese green tea is light and refreshing. The all natural, Kosher Certified green tea contains several antioxidants that are good for your health. The package comes complete with 90 individually sealed tea bags. 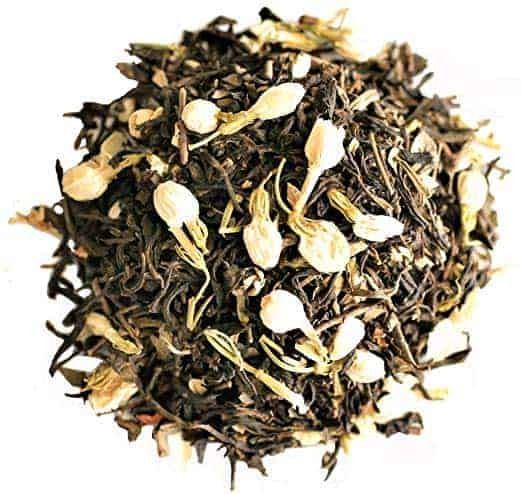 Grown in the Kyushu Region of Japan, this tea is visually distinctive as the processed leaves are in a ball-like shape. The tea produced from these leaves is described as tangy and Tamaryokucha also has a citrus-like aroma. Harvested from a family run tea garden in the famous tea production district of Kyushu, there are a handful of tea gardens that are in this high elevation location. There are no agricultural chemicals used although the product cannot be called organic. The package contains loose leaf green tea in a 200-gram stand up pouch. This is a green tea that is named after the region where it is produced. Ujicha comes from the Uji region of Kyoto. It is a traditional tea having been produced in this area for over 400 years. Grown in the Uji District of Japan, this package contains USDA 100% certified organic and natural matcha green tea. This is premium organic ceremonial matcha which contains a natural sweetness. The ground up leaves are packaged in a stand up, pouch that can be resealed. The unique processing of the tea leaves gives Kamaircha a very interesting characteristic. As the leaves are pan fried as opposed to steam-pressed (like most Japanese teas) it tastes less bitter. 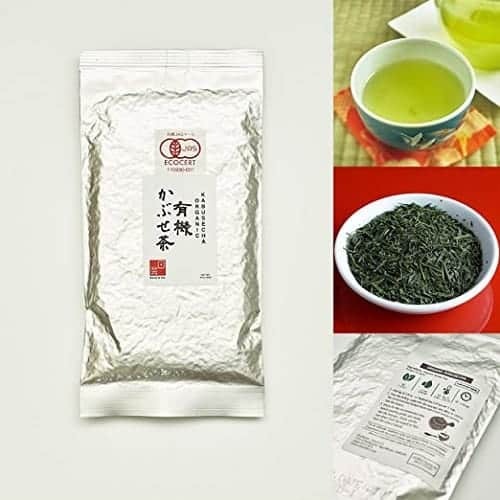 The uniqueness of pan-fried green tea can be yours with this tea produced in Kyushu. The pan-frying gives the tea a rich, roasted fragrance and is performed on freshly picks tea leaves. It bears a resemblance to Chinese gunpowder tea but only in appearance. 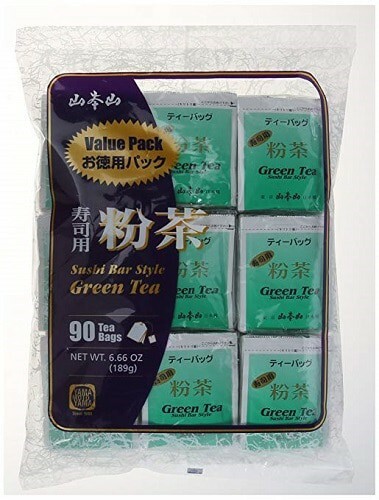 This package contains 100 grams of Japanese loose leaf green tea in a bag. This particular type of green tea is named for where it is produced. Yamecha comes from the Yame Region of Fukuoka Prefecture. This tea is known by its quality. This is one of Japan’s top quality green teas which contain a blend of Yamecha tea. Yamecha is grown in one location in Japan – the Fukuoka Region. This package contains a total of 50 x 5-gram bags. The tea bags are kept in a stand up pouch that can be reused. The tea leaves in Fukamushicha are steam-pressed in much the same manner as sencha. The only difference is that these are steamed longer and this produces both a stronger flavor and a darker color. The tea leaves in this product are from the Japanese tea growing area of Fukamushicha and are steamed longer than the standard leaves. This process removes some of the bitterness leaving a milder taste. This package comes complete with three bags of tea leaves and a storage container. The buds and tips of the tea plants that are harvested early in the Spring are used for this tea. Mencha is believed to be somewhat sweeter than following flushes. This is a variety of green tea that is flavored with the blossoms of the jasmine plant. 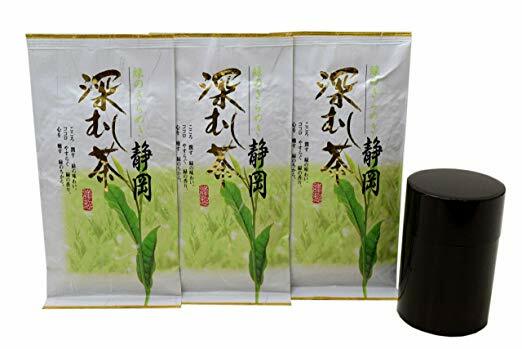 This 4-ounce package of high quality green tea with Jasmine flower will produce up to 64 cups of tea. The tea is velvety smooth and is as delicious to drink hot or iced. This product is imported from China and is caffeinated. The loose leaf tea is in a pouch for ease of use. A modern day twist on tea. Funmatsucha is in fact an instant powdered tea. Just like instant coffee, you spoon out a quantity and stir it into hot water. 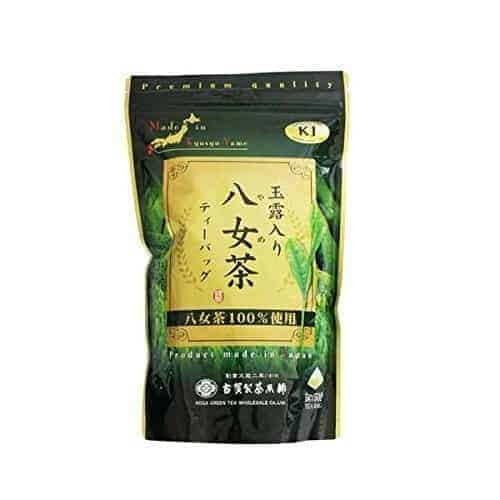 This Japanese green tea powder is made from 100% tea leaves harvested in Kagoshima, Japan which is famous for the quality of tea produced there. This product comes in a 100-gram size contained in a zipped bag that can be used for storage purposes. All you need to do is mix the powder with hot or cold water to enjoy. Japanese green tea is good for your health. In fact, there are several benefits that reportedly come from the regular consumption of tea. The compounds found within the various varieties of green tea contribute to this. Here is a look and what these compounds are and how they can benefit your health. This bioflavonoid contains both antiviral and antioxidant properties. Catechin inhibits the growth of cancer cells and can aid in the reduction of cholesterol. Increased blood flow results in how catechin works to clear blockages in the circulatory system. It is because of this that heart attacks and strokes can be prevented as well as blood clots and heart disease. Catechins also protect the body from damage that can be caused by toxins and free radicals. Additional benefits from this compound include antibacterial effects on germs and impacting allergic reactions. The symptoms can be moderated by Catechins. They can contribute to good oral health as a sterilizing agent and is effective in preventing cavities. Theanine is an amino acid that is produced only by tea. It provides benefits that are related to relaxing the mind and making it alert. These actions also assist with memory. Theanine is found in high concentrations in the following Japanese teas: Ichibancha, Karigane, Gyokuro and Matcha. Low and high temperatures extract Theanine equally. Green tea contains Vitamin C. It also has Catechin and Vitamin E. When all three of these nutrients are combined there provide a couple of great health benefits. They work to improve your immune system. They also work together to keep your skin healthy by reducing wrinkles, sun damage and blemishes. The level of caffeine found in green tea is low. It works to enhance cognitive performance, mental alertness as well as provide you with an energy boost. Caffeine can also assist with weight loss by stimulating the metabolic rate. Higher caffeine levels are present in Matcha, Gyokuro and Sencha teas. Tea contains several beneficial minerals. They include potassium, manganese and calcium. The health benefits from these include controlling heartbeat, alkalinizing blood and contributing to the strength of teeth and your skeletal system. All Japanese teas, with the exception of Matcha, will provide you with relatively high concentrations of the compounds listed above. However, the most beneficial method in achieving this is through a process of brewing the teas three times. When you brew tea leaves three times 30 to 50% of the compounds are extracted into water for consumption. The difference with Matcha is that the tea leaves are ground into a powder and dissolved in water when prepared to drink. This method of brewing will provide you with maximum levels of the compounds that provide health benefits. In one cup of tea, approximately 3 or 4 grams of tea leaves are used. In Matcha only 2 grams of leaves are required. Green tea leaves can provide you with many different functions that would fall under the category of deodorizing. Dried, used tea leaves can be burned as incense and the smoke produced will remove odors. You can accomplish the same result by putting dried, used tea leaves in your shoes. By wiping damp used tea leaves on cooking surfaces you can remove odors. Tannin is a compound found in green tea. When you wipe steel utensils with used tea leaves you are leaving behind an anti-rust coating created by Tannin on them. Because tea leaves have both astringent and antiseptic properties, you can use them to kill germs. A gargle made with green tea will help with your oral hygiene. For skin treatments, you can use green tea as a topical application. As you can see, culture plays a huge role in the appreciation of tea in Japan. Also, processing and geographic location has a lot to do with the quality of tea and is as important as the timing of the harvest and growing conditions. 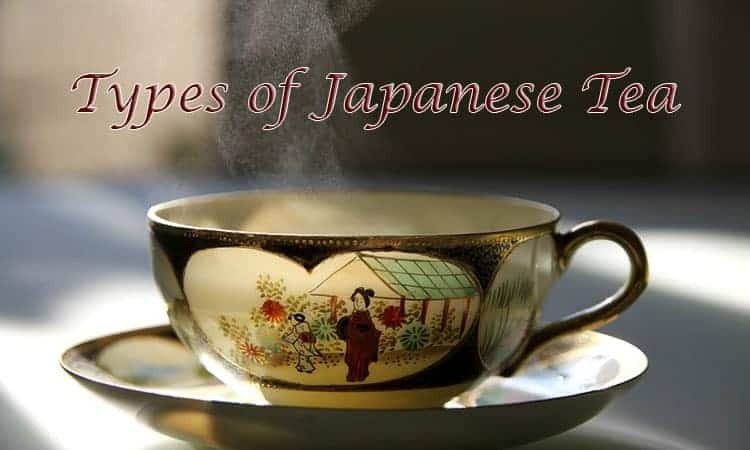 All of these factors impact the final product – a good cup of Japanese tea.